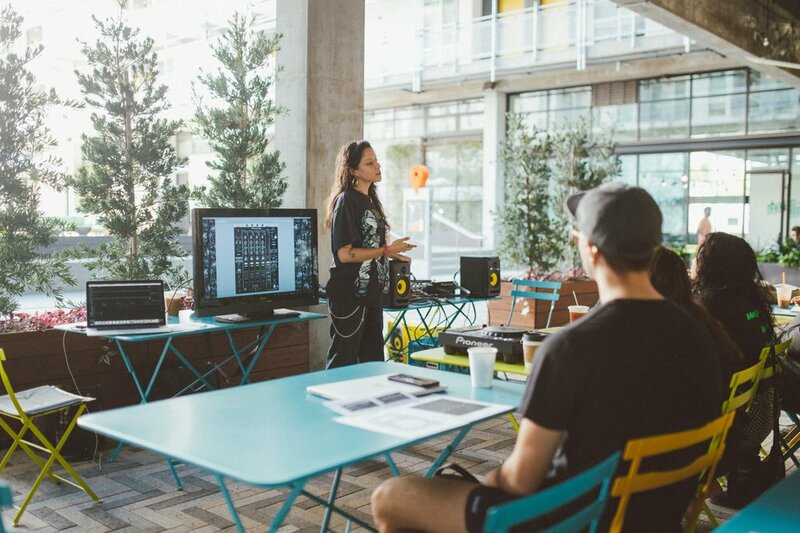 Special thanks to all the students who came to our ‘Intro to DJing’ workshop yesterday eager to learn, as well as as a special thanks to Club Chai’s TR4VI3ZA for teaching one of the greatest Each One Teach One classes we’ve ever had. With interactive exercises, in-class worksheets, and hands on practice, we hope everyone got put onto the first steps needed to make their music dreams a reality. We’re sure we’ll be hitting some of y’all up for a DJ set sometime very soon. ‘Til next time. The Each One Teach One Workshop full-semester series will return in the Summer of 2019. One-off classes will be announced and organized from now until Spring ‘19. LISTEN: Rossi Rock & Sebby OG deliver on new single "Arco"